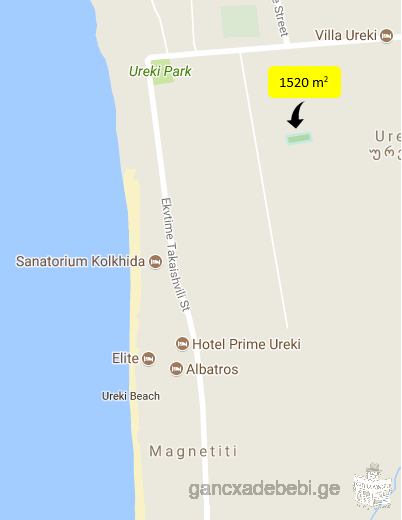 1520 square meters of land for sale in Ureki. The land has very good location (third zone). Cadastral code of the land is 26.28.11.185. Water, natural gas and sewerage systems are already built in the settlement. For additional information, you can call at the following number: 557 57 54 69.